Now that the the college basketball season is in full swing, it's time to take down the recruiting rankings for the Class of 2013, and take one last look at where the top players from this class are now playing their college ball. The big story here is that 5 girls from this class are playing Division I college basketball, more than any class from NH in quite some time. They are Katharine Fogarty (Marist), Meghan Green (Boston University), Alex Cohen (Manhattan College), Moriah Morton (Dartmouth) and Nicole Hayner (UMass Lowell). I'd go to battle with that as a starting 5 any day! It should also be noted that 3 of them (Green, Cohen, Hayner) were teammates at BG a few years ago before Cohen transferred to Tilton. Madison Gibbs also played with them at BG, and Gibbs also continues her career at Catholic University. Meanwhile 4 of the top 5, and 5 of the top 8 players on the list played for the Rivals Basketball Club on the AAU circuit (Fogarty, Green, Cohen, Hayner, Michelle Poole). Nearly as impressive as 5 players from this class playing D-I is that 3 players from this class recorded over 1,000 points and 1,000 rebounds during their high school / prep school careers (Fogarty, Green and Dina Pitsas). 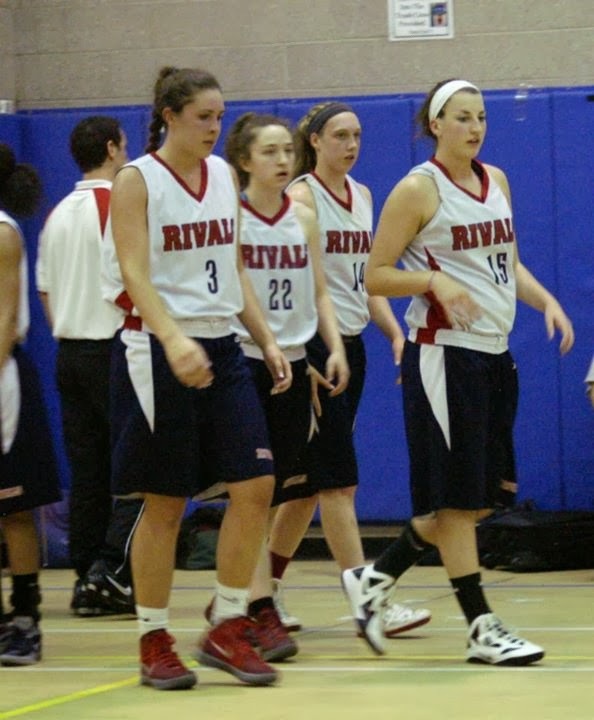 Speaking of AAU teammates, Jillian Gilman, Bernadette Connors, Madison Gibbs and Kate Cole all played on the same NE Crusaders team during their final AAU season in 2012. And as for high school teammates - you have not only the BG girls, but also Morton and Emily Kehoe (won a state title last year at Lebanon) and Connors and Kelsey Schiebel (took Windham to 3 straight Final Fours). Lastly, Caitlyn Perry is not only playing college ball after a successful high school career at Nashua South, but she'll be able have lots of fans cheering her on as she's playing at River College of Nashua. Without any further ado, here are the final prospect rankings for the Class of 2013. Congrats to all of these ladies, and best of luck with their college careers!